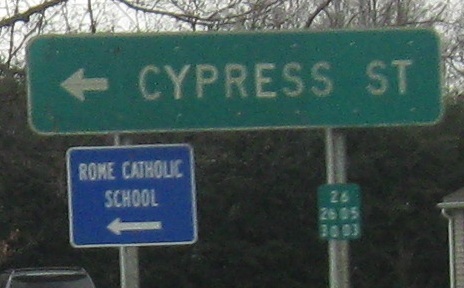 NY 26 NB at NY 17C and the eastern end of their duplex (26 loops to the right, and the next left is just a town street). 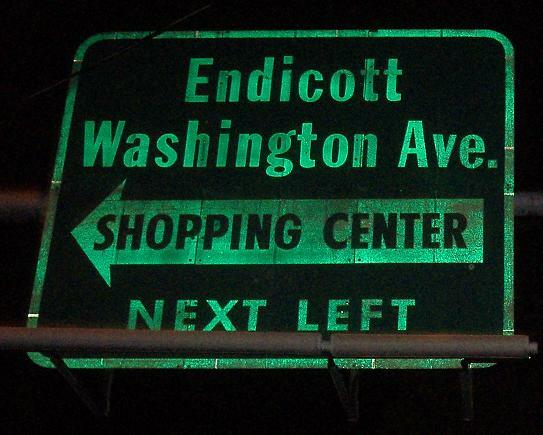 The town of Endicott appears to have erected its own signs, because there's at least one more barely reflective sign (badly faded lettering on dark background). 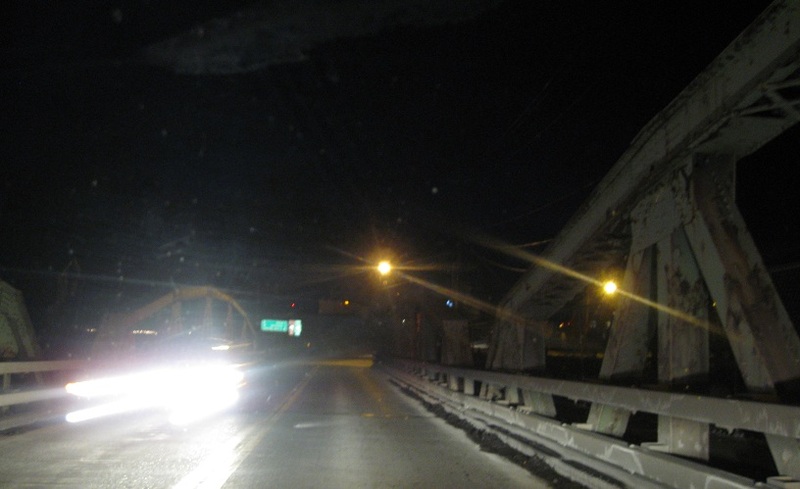 NY 26 jogs north a block with US 11 and comes to this truss bridge. 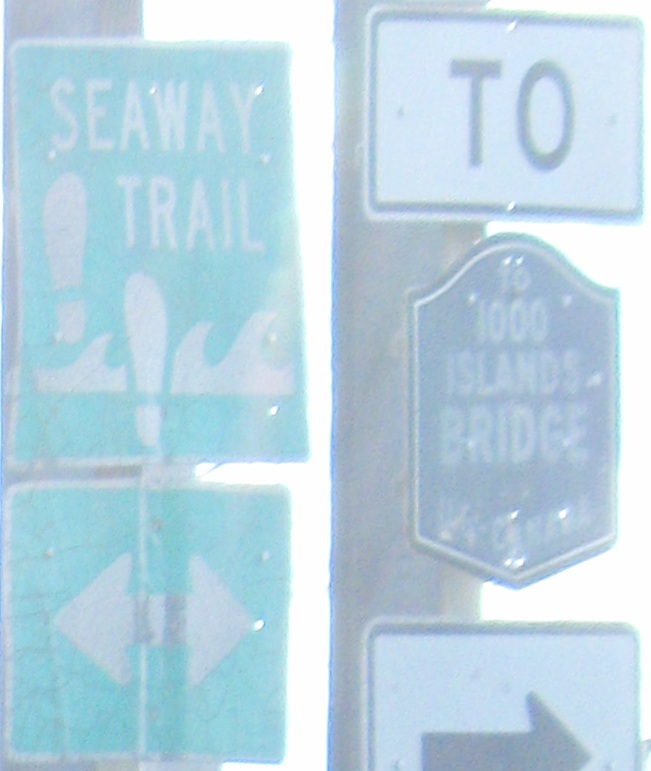 NY 206 technically begins on the far side, not multiplexed on the near side of the span. The shields may look new, but that was in 1976. 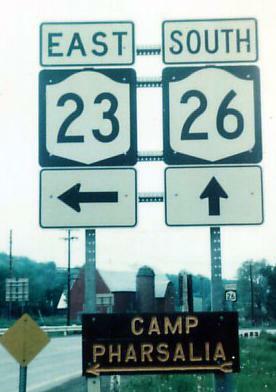 This is the beginning of NY 23 in Cincinnatus (singular of Cincinnati), courtesy Michael Summa. SB at dusk. You'll see the sun slowly un-set as you head down this page. The sun is a little less set because I haven't made it to US 20 yet, heading SB. 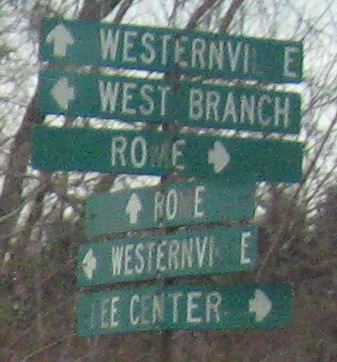 NY 26 and NY 365 get multiplexed outside Rome, and then switch partners with NY 49 and 69. 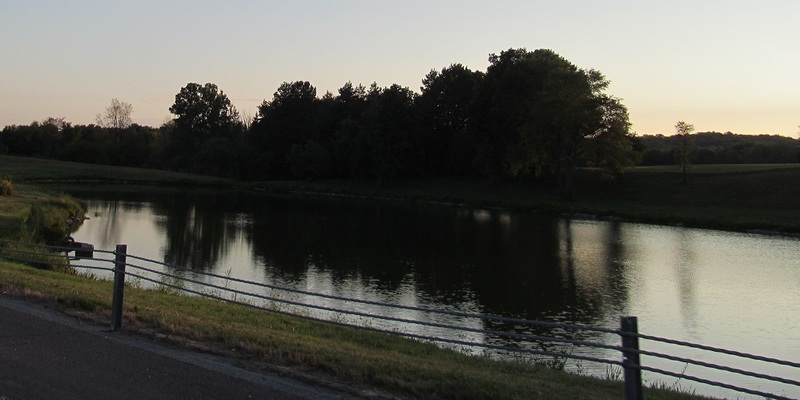 Two views of Fort Stanwix in Rome from Dominick St. WB (old NY 49), turning onto NY 26/NY 46 NB. NY 49 now comes in from the south with NY 69 on the newer extension of Erie Blvd. SB at Stokes Rd. 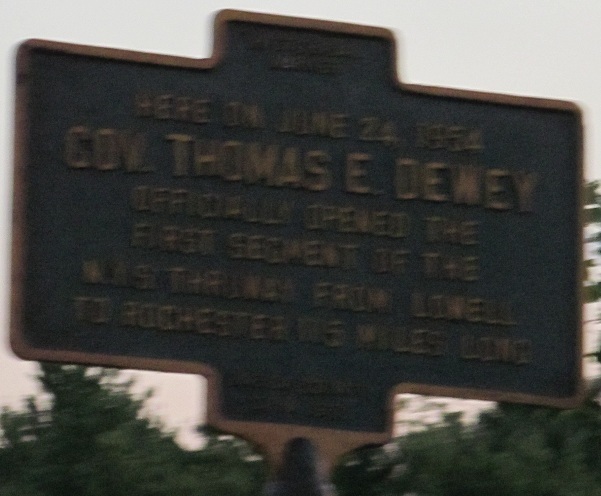 (Oneida CR 53) and down into Rome. 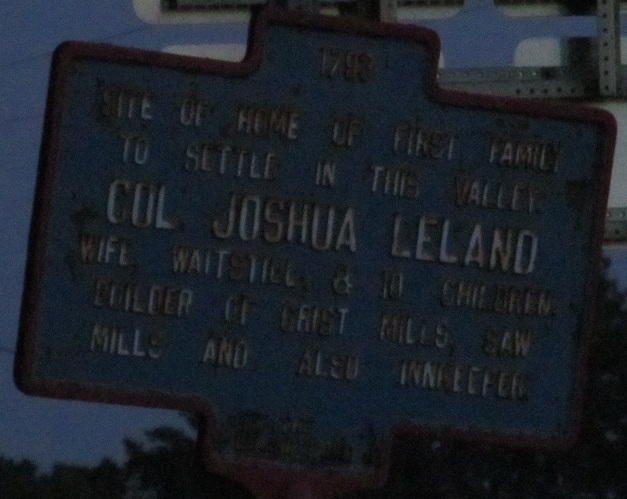 Heading south from Greystone Manor in Martinsburg on that same August evening as before.